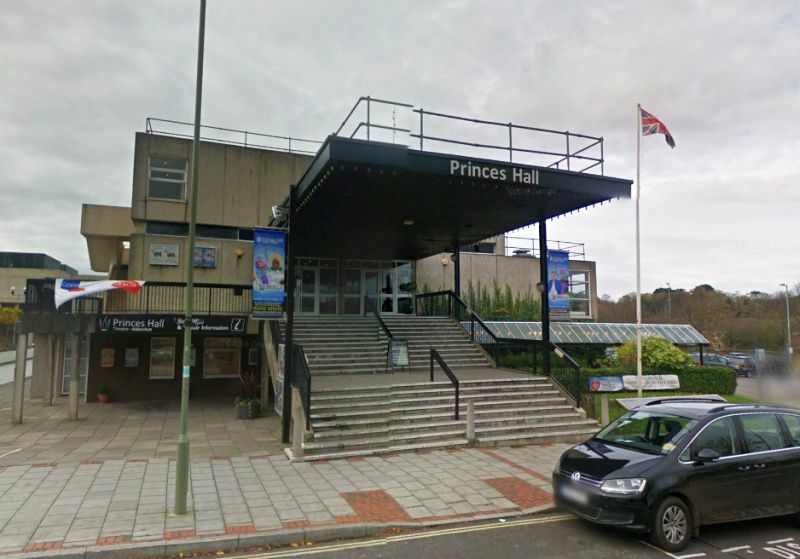 The Princes Hall, Aldershot was opened on the 22nd of May 1973 by Prince Philip, The Duke of Edinburgh and was originally intended for Council meetings and mayoral events but has since been used more as a conventional Theatre. The Princes Hall is a multi purpose venue and its main auditorium can hold 595 seated and over 800 standing. There are another three function rooms in the complex, the Princes Suite, the Edinburgh Suite, and the Tichbourne Suite which are used for a variety of functions such as weddings and conferences. The complex was refurbished in 1985 and then again in 1989 to 1990 into the present form which included extending the Ground Floor and improving toilet facilities and bars. Backstage was also altered at this time and the Theatre now has its own workshops, new dressing rooms and a lift. The Theatre hosts regular Pantomimes each year and a variety of theatrical entertainments throughout the year. An interesting history of the Princes Hall celebrating its 40th anniversary, 1973 - 2013, can be read here.